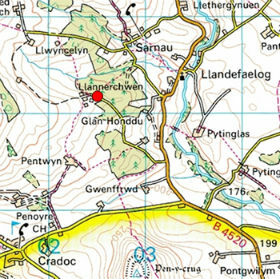 Please look below for detailed instructions on how to find us from different directions. 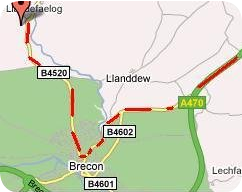 Turn RIGHT off A470 at the sign for Cradoc. 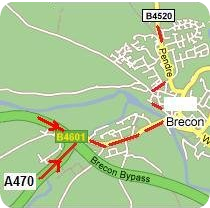 At Texaco Garage, do NOT follow sign for Brecon: go straight ahead down a steep hill and turn RIGHT at Bull's Head pub, on to B4520 towards Upper Chapel. 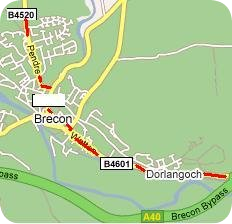 Follow sign for Brecon, cross bridge, turn SHARP LEFT then SECOND RIGHT at Maendu Street, then LEFT at top of hill, on to B4520 towards Upper Chapel.